“Raziya has been involved with yoga for many years having started a personal practice at the age of 17 years. 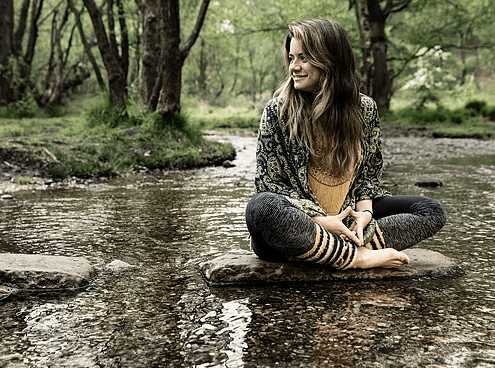 A gap year living and travelling in India gave her the opportunity to learn yoga in ashrams practising in a very traditional way and at its very source. As an experienced Massage Practitioner, trained in London and Hawaii, she began to recognise that yoga could help the various problems her clients were presenting. This led Raziya to begin her yoga teacher training in 2000. The 2-year Hatha yoga-teaching diploma was based on the principles of Vanda Scaravelli. She had also spent 6 years learning The Alexander Technique following many years of back pain. Raziya draws inspiration from both methods and has developed her style of teaching to encompass and reflect some these principles. Raziya’s classes are relaxed, friendly and supportive. She teaches yoga in a gentle and intelligent way, encouraging the art of a mindful practise, awareness of the body and mind, developing strength, stamina and flexibility, all whilst creating an inner stillness and outer calm. We do not just do yoga – over time we open to yoga allowing the wonderful benefits to infiltrate all aspects of our lives. “Rachel has been practicing yoga for most of her adult life and loves its endless benefits inside and out. Feeling extremely blessed to receive her training in India for both her 200 and 300 hour certificates, she teaches with a true heart, deep authenticity and love. Captured by her first experience of yoga 10 years ago, Pauline went to India, the birthplace of yoga, completed her 200hr teacher training and hasn’t stopped learning and sharing since. Enjoying practicing different styles, in her in her doux yoga classes you’ll find a combination of Hatha Vinyasa, Fascial and Yin Yoga. She also incorporates intuitive, playful elements of dance and bodywork, which inspire you to listen to the creativity of your body. 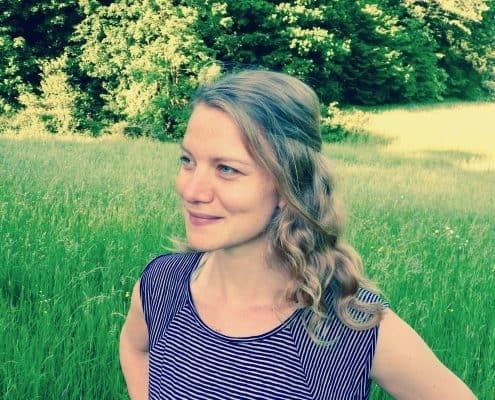 Based in Hamburg, she teaches in several studios, social projects, offices and weekend workshops and also gives bodywork sessions as a practioner of the Pantarei Approach pantareiapproach.com. 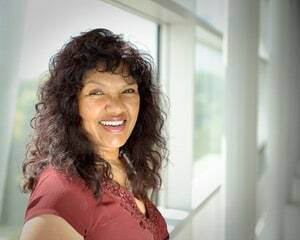 During the retreat Pauline will also be available to give 1 on 1 bodywork sessions (re-)connecting you to your wishes, needs and inner body-wisdom. 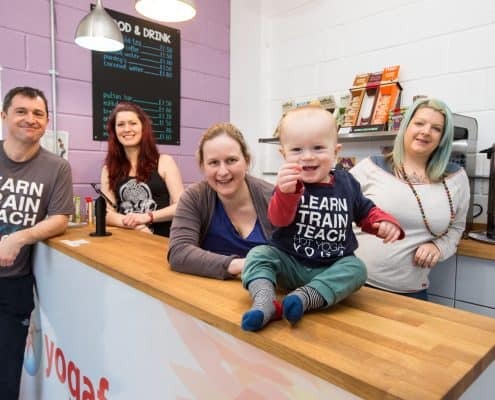 “Ed and Sinead are Directors of a family run Yoga and Hot Yoga studio based in Bristol. 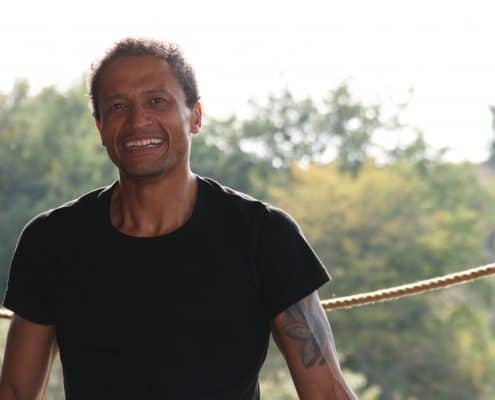 Ed is also the Course Leader for Yogafurie Academy – a Registered Yoga School training students to become qualified Yoga and Hot Yoga Teachers. They also enjoy running varied courses and workshops from the studio, and absolutely love holding retreats and Yoga holidays! “Naomi is owner and manager of Bristol Yoga Centre and the founder of Everyday Yoga in Bristol, UK. 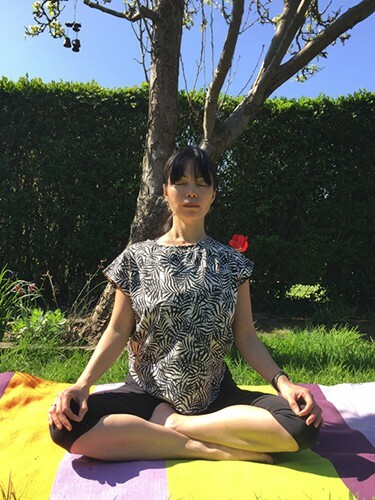 She started practicing yoga when she was young as her mother and father in law are both yoga teachers in Japan. Naomi is a British Wheel of Yoga teacher and has also received 500 hours Yoga Alliance UK certification. She teaches Hatha yoga and draws influences from other styles of yoga such as Ashtanga, Iyengar, Sivananda,Vini Yoga, Yin Yoga, Restorative Yoga and Vinyasa flow. 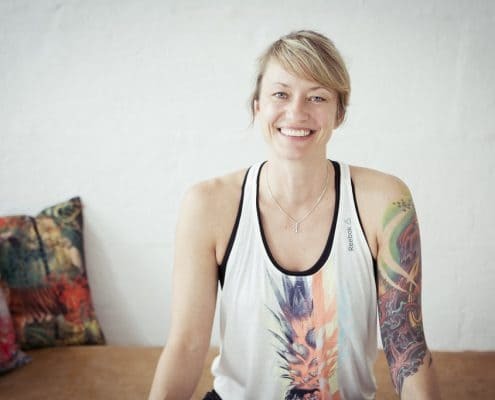 Steffi is a 500 h RYT (Yoga Alliance), certified Pre- and Postnatal Yoga teacher as well as a yoga teacher for children. In 2013, she opened her yoga school Innersmile Yoga in Hamburg and is delighted to see how it is gradually growing into a real Yoga Kula. Steffi teaches Vinyasa Flow with a strong focus on the right alignment. 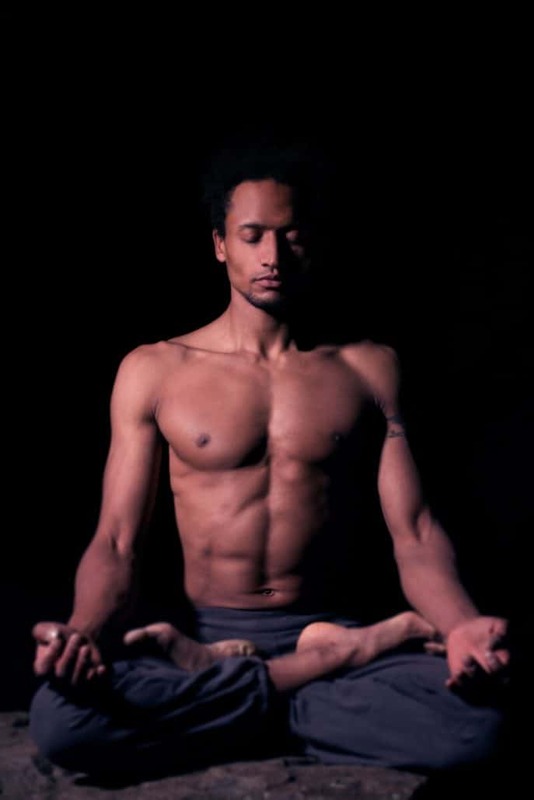 Santiago’s dynamic yoga classes are inspired by Ashtanga, Iyenga and Integral Yoga. His yoga style reflects 15 years of self practice and years of studying and teaching yoga in several countries such as Spain, England and Sweden. If not giving retreats or workshops across Europe, Santiago teaches drop-in yoga classes in Hamburg, Germany. During Santiago’s retreat you’ll be learning how to stay calm, focussed and strong – within your mind and body. The focus will be on Pranayama, Asana, Meditation and Sat Sanga. The retreat will be open to beginners as well as experienced yoga practitioners. The spoken language is German, but English translations are possible. Laura Green, is a Yoga Teacher and Founder of Soul Retreats & SoulFest based in Hampshire, UK. She leads life inspiring adventures through yoga classes, workshops, yoga teacher training, retreats and festivals. Blending expert yoga tuition with life affirming tools to empower men and women to live the life they want. Laura teaches Vinyasa Yoga, Restortative Yoga and Yin Yoga with a focus on embodiment through clear alignment and intuitive sequencing. Laura is also a Thai Yoga Massage Therapist and weaves this into her teaching. 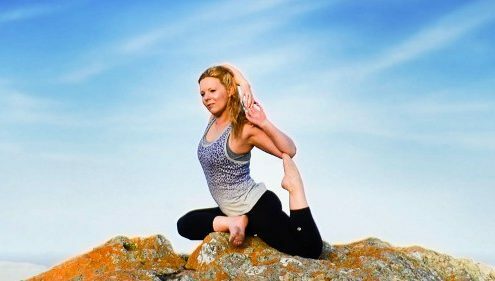 Laura is an inspiring and intuitive yoga teacher who helps people connect with their soul’s longings and courageously step into their strength and the life of their dreams. Laura qualified as a Yoga Teacher with the internationally recognised Yoga Alliance in 2010 having studied extensively with both the Yoga Alliance and the British Wheel of Yoga.